okay so... this post is pointless. like, more so than usual by large amounts. proceed with caution. satan spikes'll save you every time. lol, you are amazing! those shoes, get me every time. Hey, I'll join the church of bagels and cream cheese! I'm obsessed with the chocolate cream cheese right now. I smother it on my croissant and pretend I live in Paris. Lovin' the shoes. You're rockin' them! this post just made me laugh out loud. hells yea to the shoes. I have a similar pair and love them. This totally made me laugh, and I'm in love with your Satan spikes. ha love this! you can totally work those spikes :) i, too, love a good bagel. I was going to call them The Gaga Shoes! Oh man I love Gretchen Rubin. Neat that you got to go to some dinner parties with her. What a fabulous adventure. You should write about your dinner parties! Oh btw bagels and lox are my favorite (no capers though)! I LOVE THIS POST! Made me laugh so hard! HAHA! Love, I agree with Melina. Now I'm getting a bagel. Oh no you didn't! LOL- my friend Gregg and I were just admiring those very same shoes in a window display a couple of weeks ago. They're amazing! I love that you bought them! you are too funny! "satan spikes" ha! O-M_-G! I Love the shoes! you must address the pressing question (alright, my pressing question) of how on earth you wear those things without scratching the devil out of your legs. you know, with the walking and the crossing. or is it the kind of pain that beauty demands? cause that i get. The satan spike shoes save it! 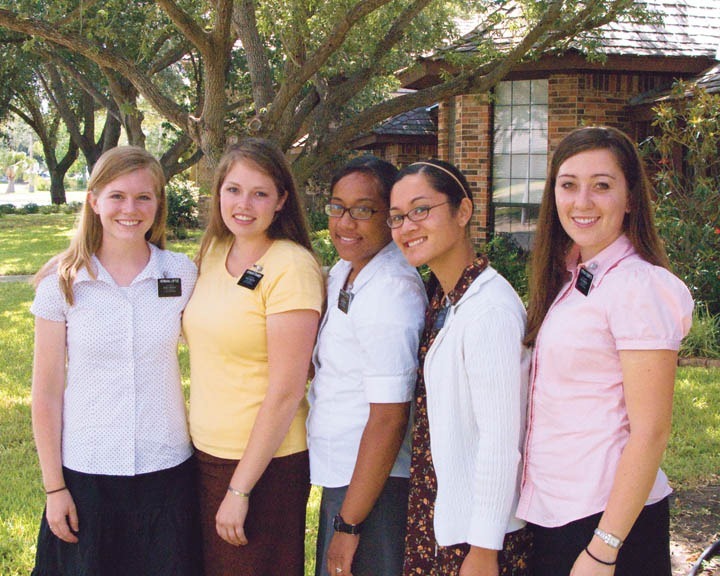 No missionary looks with that outfit. :) I happened to discover your blog recently and you make me want to quit my life in Utah and move to NYC straight away. those shoes are fierce, girl! i must know, are they easy to walk in?! Dinner parties with Gretchen and trotting around NYC in Satan spikes? I want to be you. i read "the happiness project" a few years ago and loved it! i underlined half the book. and love your shoes! your whole outfit actually. haha I love the Satan spikes at the end! I cannot get over those shoes. They are amazing and you are pulling them off. Majorly!! Ha! I LOVE that I was responsible for the satanic photo. 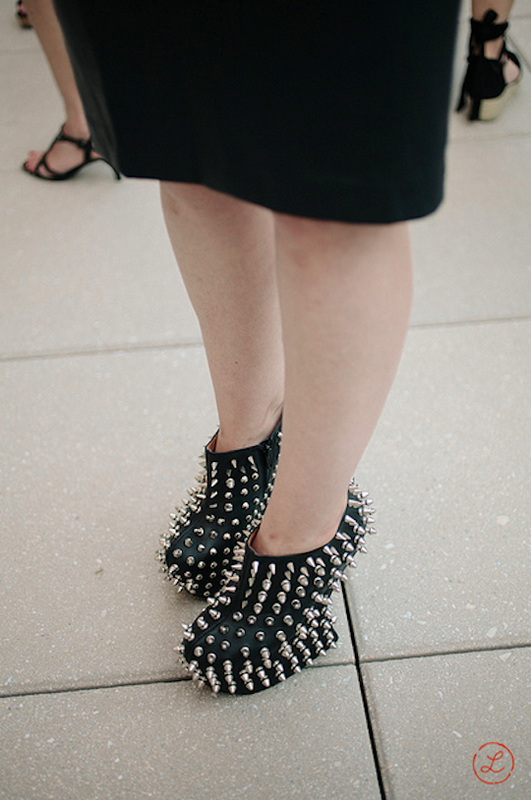 Also - It was a pleasure to photograph your Satan Spikes... You looked awesome in them. It makes me really happy you wore these bad boys out and about! This post seriously made me laugh. Love it. 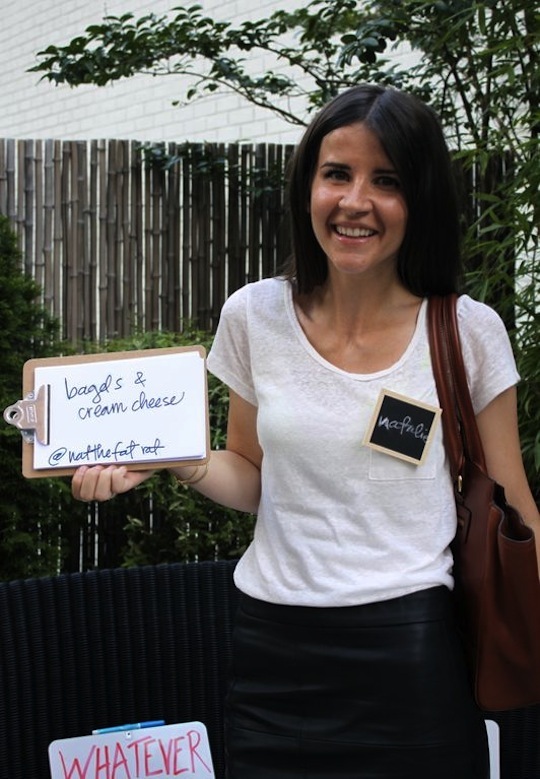 I love love love those chalkboard name tags! You are adorable but a big dislike on the shoes. Shades of Lady Gaga with a clubfoot. Sorry! You may be a mormon, but culinarily, you're definitely one of us! !